Mamiko Okumura first noticed her son’s stuttering when he was 2 years old. Amane was too young to be fluent in either English or Japanese, so Mamiko was understandably confused about what action to take. “I couldn’t tell if this was a normal thing, if it happened to all children when they started to speak or if it was even some kind of disease,” Mamiko says. 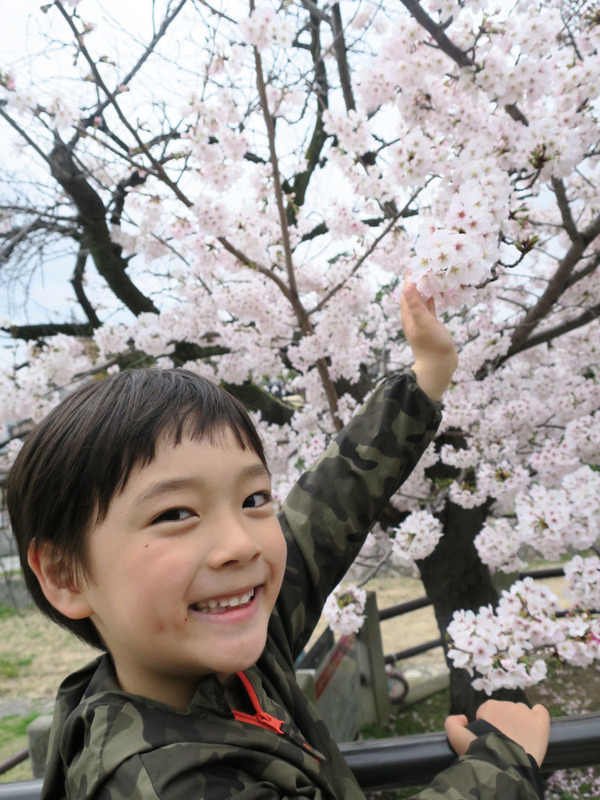 As Amane’s stutter worsened, his mother consulted various doctors and hospitals, borrowed “loads of books” from the library and searched websites in English and Japanese. Globally an estimated 1 percent of the population stutters; that would translate to over 1 million people in Japan. Treatment for stuttering, also known as stammering, has historically latched onto various trends. In the 18th century, surgery was used, involving removal of part of the tongue to alleviate supposed physical causes; in the 19th century it was considered a mental disorder treatable with psychotherapy. Even today, the exact cause of stuttering is unknown, but most professionals agree there are neurological and possible genetic connections, and that disfluency can be exacerbated by a number of factors, such as anxiety in the speaker, tiredness or other feelings. Regardless of research, contradictions over stuttering continue to fuel debate, although all agree it can be permanently damaging for self-esteem. As the experience of Mamiko and Amane illustrates, treatments in Japan can vary widely, despite the efforts of several Japanese speech language pathologists (SLPs) last century to come up with a consistently effective approach. One Osaka-based language pathologist, Shinji Ito, started the Japan Stuttering Project in 1965, which continues to run summer camps for children with speech disorders, offering treatment and a safe place to relieve the anxiety many sufferers feel in social situations. Even into the 21st century, parents in Japan were commonly counseled to ignore early childhood stuttering in the hope that disfluencies would resolve themselves naturally. But Amane’s stutter was not going away. In 2015 a mutual friend introduced Mamiko to Canadian Elaine Yandeau, a speech pathologist in the greater Tokyo area working with stuttering through an early-intervention behavioral treatment developed in Australia called the Lidcombe Program. In the Lidcombe Program, parents are the key actors, tasked with modifying the behavior of their children using positive reinforcement, all under the guidance of an SLP trained in the Lidcombe method. Treatment is consistent and practice is disguised as word games and play between parent and child. Back in 2011, Yandeau had experienced a crisis of conscience. Dealing with her very first case of stuttering, Yandeau’s 4-year-old patient was not making progress. Despite enlisting the help of an experienced SLP for co-treatment following the Lidcombe Program, the young bilingual girl — of Japanese-American parentage — was actually getting worse. As Yandeau explains, “I was relying on my more experienced colleague, but she (the patient) just wasn’t improving. Her stuttering was severe, and when I looked over the Lidcombe manual myself, I realized we hadn’t been following it properly. Desperate, Yandeau contacted the University of Sydney’s Australian Stuttering Research Centre, where professor Mark Onslow had developed the Lidcombe Program. She was put in touch with Dr. Brenda Carey, a research clinician who has been working exclusively on treatments for stuttering for 15 years. Carey agreed to train Yandeau in the Lidcombe Program long-distance through tele-health Skype sessions. Carey worked closely with the girl and her parents while mentoring Yandeau. Yandeau says the changes she witnessed in the girl were remarkable. Yandeau took on other bilingual children with disfluencies, growing more confident in the program with each new success. After the success of her early clients, Yandeau wanted to introduce the program to Japanese SLPs. Lacking proficiency in Japanese herself, Yandeau enlisted the help of Eliza Kumamoto, a bilingual counselor at Yokohama International School, and together they presented an introduction to the Lidcombe Program in Tokyo. There was already interest in the Lidcombe Program among professionals in Japan thanks to the efforts of Dr. Yuki Hara, a noted Japanese speech pathologist and professor at the School of Allied Health Sciences at Kitasato University. Hara had been searching for a way to bring the Lidcombe Program to Japan and Yandeau later had discovered that path herself. Carey introduced the two women in 2013, and their international collaboration began. 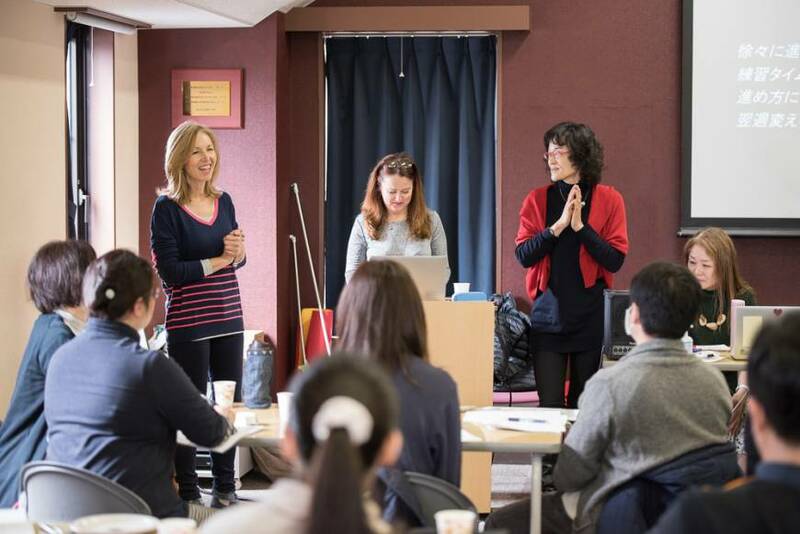 Together, Carey, Yandeau and Hara launched the first workshop for Japanese speech pathologists in January 2014, with Carey coming over to present the training. 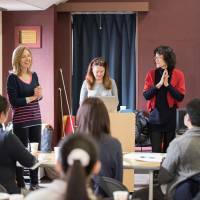 The women have now hosted numerous well-attended Japanese introductory and follow-up workshops, with over 200 participants now trained. Carey credits the efforts of Hara and Yandeau for breaking down attitudes and assumptions toward trying something new. Carey particularly credits Yasuko Netsu, a speech pathologist not even working in stuttering herself who devoted her time to translating three days of workshops simply to be a part of the process. One reason for its success in Japan could be because the program emphasizes parental involvement to modify behavior gently with positive reinforcement. Having reached out to Yandeau for help in 2015, Mamiko has nothing but praise for the Lidcombe Program. 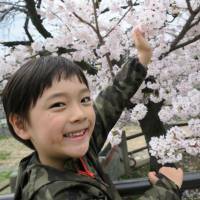 Nearly two years later, speaking today with 6-year-old Amane, there is no trace of a stutter in English or Japanese. “Sometimes I even forget he ever stuttered,” says Mamiko. Chattering happily, Amane talks about his new friends and his new school, as the family has recently moved to Kobe. The Japan Society for Stuttering and Other Fluency Disorders (English and Japanese): www.jssfd.org. For more information, contact Yuki Hara (in Japanese) via bara@kitasato-u.ac.jp or Elaine Yandeau (in English) via yandeaue@yis.ac.jp.